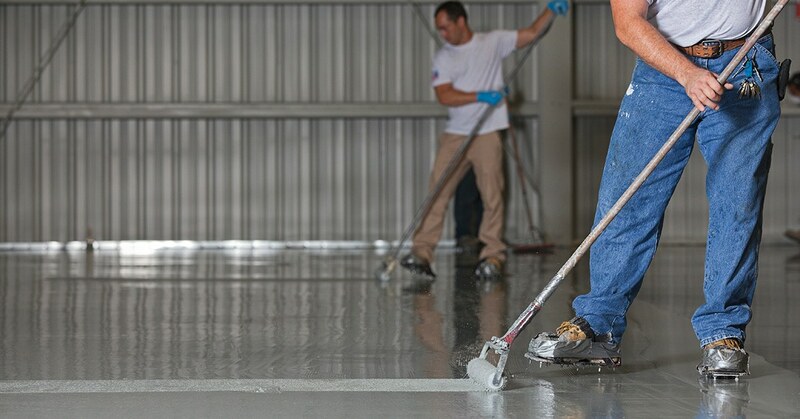 EPiC Aqua Epoxy is a high strength, water based, low VOC, 2 pack epoxy floor coating. It provides excellent protection to concrete, timber, masonry and primed metal surfaces. EPiC Aqua Epoxy has been developed to provide excellent interior durability, with excellent protection against petrol, oil, fatty oils, alkali, acid and efflorescence, making it ideal for a wide variety of applications such as commercial and industrial floors and walls. EPiC Aqua Epoxy is also food grade compliant and can be used for a variety of areas including restaurants, hospitals and supermarkets. Good quality brush and roller sleeve. Spray application will depend on the type of finish required. Do not store mixed product in spray equipment to avoid damage. All surfaces must be free from rust, oil, grease, and all other surface contamination. Concrete should be etched using Nu-EcoSafe Etch or Nu-EcoSafe UltraEtch. High Pressure Water wash area (> 2000 Psi) and allow to completely dry. Mixing 3 Parts A to 1 Part B (single 2 Pack kit). Mix using a drill mixer, hand siring is not sufficient. Leave to stand for 10 minutes prior to use to allow full activation. Do not use after pot life has expired (2 hours). For spray application thin 10% - 15% with clean water. Do not thin for brush or roller application. Bare concrete and masonry surfaces thin 20% - 25% for first coat application for penetration and adhesion. EPiC Aqua Epoxy should be touch dry and able to be recoated after 2 hours. For a full cure, allow to dry for 7 days. Wear a suitable respirator for spray application. Ensure there is good air flow and ventilation. Avoid contact with skin and eyes.